If you love sewing and maybe even creating your own designs, a career in fashion design might be the perfect career for you. Read on to learn more about how to train for a career in this competitive field. Where to Get Fashion Design Training: Fashion design is a highly competitive field, with little growth expected. Finding the right fashion design training increases your chance of success. According to the Bureau of Labor Statistics the majority of fashion designers in the US are employed in California and New York, with the main face-to-face training opportunities based in those locales. With only about 23,000 coveted jobs to go around, you need three things to succeed: a good eye, artistic talent, and the best training possible. If you live near one of the face-to-face fashion design schools, or if you are in a position to move, attending is a way to quickly get hands-on training complete with professional feedback. The Art Institutes and The Academy of Couture Art are two design schools offering a campus experience. Most employers look for designers with either an Associate's or a Bachelor's degree. Depending on your interests, pick a degree in either fashion design or pattern design. Many of the core classes will be the same, so it is possible to get started even if you don't know exactly which design field you prefer. Some designers accept internships as a way to learn the trade. An internship provides hands-on training that can be combined with a formal education, or can stand alone as experience in the field. If no big clothing manufacturers are in your immediate vicinity, experience can be gained working in retail clothing stores or tailoring shops. While many students prefer face-to-face learning, if you are not in a position to attend on-campus courses, distance learning is a viable option. Note that it takes more effort on your part to succeed in distance courses, but if you put forth that extra effort it will pay off in the end. An Internet search will provide links to several fashion design distance, or correspondence, courses. Take the time to read through the information about each course. If you plan to complete a degree, so you can advance in this field, make sure you choose an accredited school. Approximately 300 post-secondary institutions with art and design programs are accredited by the National Association of Schools of Arts and Design. Basic art and design courses are normally a prerequisite for entering a design degree program. Attending an accredited academy holds more weight with some employers. It just gives you a little more credibility in the professional world. It also means your credits will be more transferable than those from a school lacking accreditation, if you decide to further your education at a different school at a later time. Examples of jobs held by trained fashion designers include lead designer, clothing designer, foot-wear designer, and accessory designer. Self-employed designers sometimes combine design training with business or marketing training. If becoming a fashion designer is your dream, getting the best fashion design training available to you is, along with a good eye and artistic talent, the key to success in the field. Copyright Laure Justice. Contact the author to obtain permission for republication. Originally published on Suite101. One of the loopers on my serger, the one closest to the body of the serger, was loose and wobbling around like a child's loose tooth. I got the screw tightened but it still would not stitch. 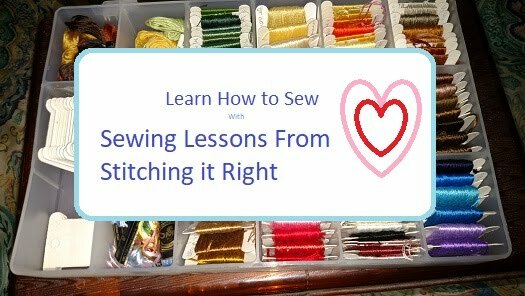 After that, I kept putting it off, thinking I would rather take my serger to my sewing machine mechanic than try to do it myself. Anyway, today, (soon to be yesterday) I decided I needed my serger and could do it myself. I got out my allen wrench kit and tried different wrenches until I found the right size - it took a size 2 - metric. I could not get that little screw to turn so I got help to loosen the screw. Then, I just slowly worked the hand crank so I could watch the positioning of the looper as it passed the needle. When it hit the sweet spot, I tightened the screw with the size 2 allen wrench and rethreaded the beast. It stitched perfectly, and I saved the cost of a trip to the sewing machine repairman and a week without my machine. The serger in the picture is not mine - it's a MorgueFile picture. I like to save clothes when they wear out and make them into new things, like water bottle holders, and tote bags, but I just ran across another way to recycle denim blue jeans, so I thought I would share for those of you not interested in restyling old jeans into new things. Even if you don't use every scrap of your old clothes, you can still be earth-friendly and keep your old jeans out of landfills. Interestingly, it does not appear the everyday person can go buy this premium insulation, because it goes to Habitat for Humanity and community projects can apply for a grant of this blue insulation. So, if you are not in the mood to recycle, restyle, or upcycle your old jeans, you can always feel good about donating them to be recycled into this eco-friendly insulation.